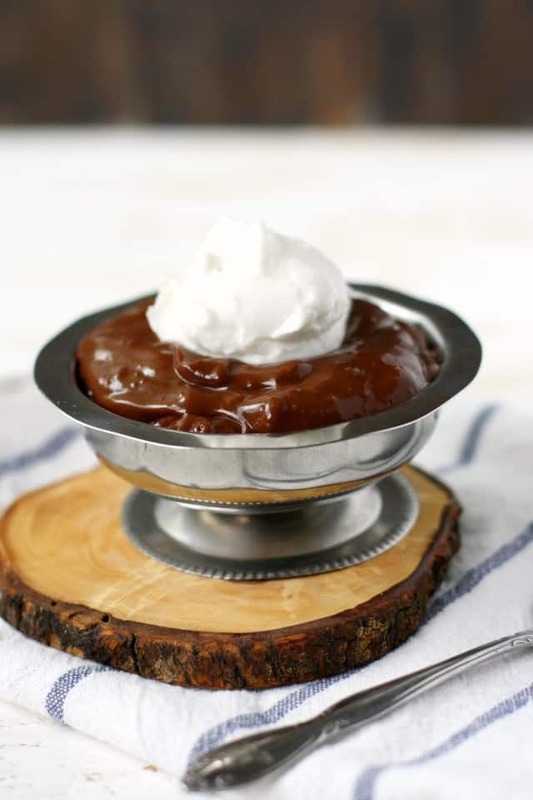 Home » Desserts » Decadent Dairy Free Chocolate Pudding. This dairy free chocolate pudding is creamy and rich – you won’t miss the dairy at all with this sweet treat! 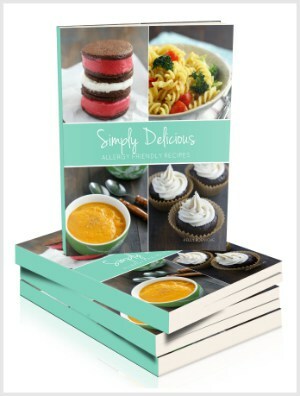 This is the perfect easy dessert recipe to try if you are new to a dairy free diet. Do you remember what you used to pack in your lunch when you were growing up? The special treats that you looked forward to when you sat down in the cafeteria? I used to love Jello chocolate pudding cups. I didn’t have them all the time, it was more of a treat, but those were my favorite. 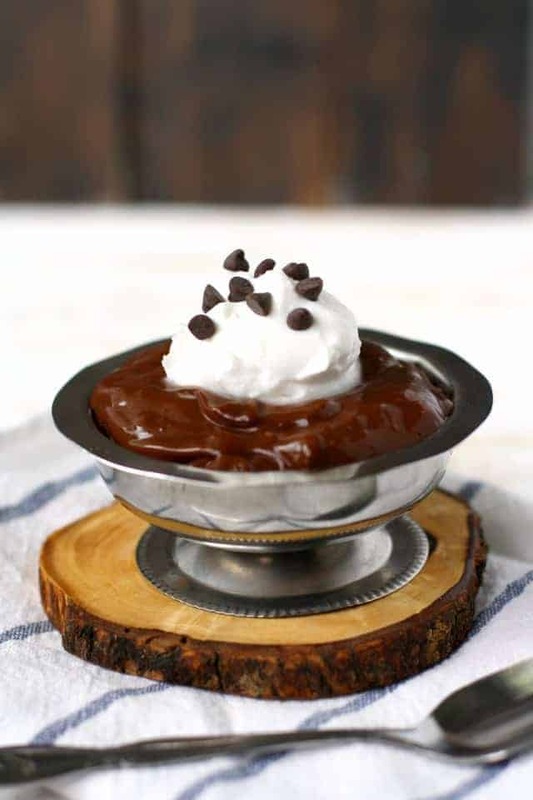 My children have never had a pudding cup, because they aren’t safe for them, but that doesn’t mean that they can’t still have delicious dairy free chocolate pudding. In fact, this homemade chocolate pudding is so much richer and more chocolatey than the little store-bought pudding cups. Kids and adults love this decadent dessert. Does chocolate pudding contain dairy? Generally, most puddings do contain dairy, unless they specifically say they are dairy free. Instant pudding mixes and store-bought pudding cups usually contain dairy. Usually homemade pudding recipes are made with dairy milk. Is homemade pudding gluten free? Homemade pudding can definitely be gluten free! Just use a thickener that is gluten free, like corn starch or tapioca starch. What can you use to thicken pudding? The best thickeners are corn starch, tapioca starch, or potato starch. You could even use gluten free flour in a pinch – just whisk it well to remove any lumps. What non-dairy milk is best for making vegan chocolate pudding? 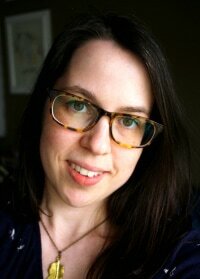 I think most non-dairy milks would work well in this recipe. Use the one that is safe for your dietary needs. A neutral tasting milk will give a good result. Stronger tasting milks like hemp milk or flax milk may not work the best. This recipe for dairy free chocolate pudding is super simple to make, and it’s SO good. It’s made with just a few ingredients that you probably already have in your pantry. It’s creamy, full of rich chocolate flavor, and just right when topped with whipped coconut cream. If you haven’t tried whipped coconut cream, it’s so easy! Watch the video below. For a healthier version of chocolate pudding, try this avocado pudding recipe – you can’t taste the avocado! It’s a great way to get some of the healthy fats of avocado into you or your kiddos. 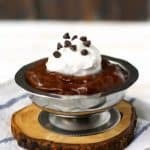 Creamy, rich, and delicious, this dairy free chocolate pudding is a treat that you'll make again and again! Whisk together the corn starch, organic cane sugar, and cocoa powder in a heavy bottomed pot. Add the non-dairy milk and cook over medium heat, stirring constantly as it thickens. Once it is thick enough to coat a spoon, stir in the dairy free chocolate chips and vanilla and reduce the heat to low. Pour the pudding into a heat safe glass bowl and let it cool for about an hour, then transfer to the refrigerator. If you want to avoid a skin forming on the top of the pudding, place plastic wrap directly on top of the pudding. Let it cool in the refrigerator for at least three hours, then enjoy! This pudding can be stored in the refrigerator for 3-4 days. Use any non-dairy milk that works for your dietary needs. Neutral tasting milk will be the best choice. 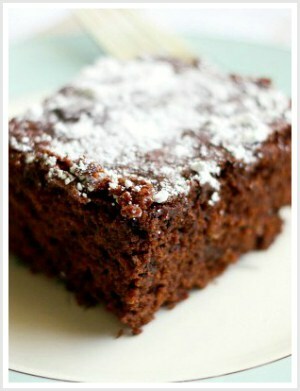 I haven't tried making this recipe with any artificial sweeteners. It might work with a cup for cup replacement like Swerve, but I haven't tried that. This recipe was originally published in July 2017. It has been updated. 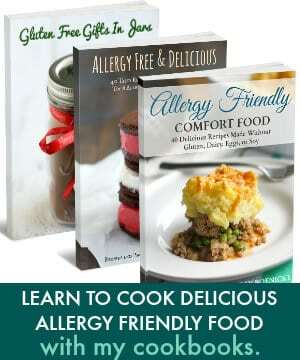 « Products That Are Free of the Top 8 Allergens. So happy you liked it, thank you for letting me know! My son was on the top 8 allergen free diet. He’s gotten dairy back and is doing well. This pudding was so delicious that I make it anyway. It’s really rick and creamy and chocolaty! The tip about placing the plastic wrap on top was great. The skin kind of grosses me out. I’m so happy that this was a hit! Thank you for letting me know! This sounds great! And I love that it’s not dependent on coconut. Thanks! Hi are the nutrient facts based on one serving or if you ate all six servings… sorry I was a bit surprised at the calorie count.. just want to make sure. It is 299 calories per serving. The serving size is about 1/2 cup. It’s not low calorie due to the sugar and all the chocolate chips.